theatre of noise: Prelude To "The Drones"
I keep coming back to the drone. In some ways it's the essence of sound, from the primal to the contemporary. Ancients must have relished the thrum of the waterfall, the lash of wind in a storm, the rumble as a herd of herbivores massed in a charge, the sound of distant thunder heard first by the hairs on your neck. Instruments like the suburuburu (bull roarer) were held sacred in societies across the globe. From this simple twirling stick came a complex sound that seemed to mirror the cycles of day and night, tide on tide, season following season. Drums were brought out for special occasions. Voices were trained to sing overtone notes and, in combination, create beat frequencies... sounds that appear to issue from mouths not present. Is it any wonder that such music has been associated with mysterious rites and religious experiences? As Western art music developed, melody and harmony came to dominate, locked in time by strict signatures and rhythms. Yet behind these lurked the pedal note of the organ and the chorus effect of massed strings. Particular composers integrated drones in particular pieces (as did pop musicians) but it was never the primary content. In traditional musics the drone finds a happier home, by way of the pipes (Scottish, Irish, Spanish...), the tambura in Hindustani tradition, and many other instruments playing special roles throughout the world. In contemporary life we are surrounded by drones of our own construction: the thrum of tire on tarmac, the full-spectrum shrieking of heavy machinery, the whine of a television transformer, or the ever-present AC power hum. Like all drones these can be annoying, but are more often strangely comforting. Their ever-changing but steadfast nature provides a safe sonic environment by which we can contemplate our life, just as the chanting of monks allows thoughts to turn inwards and actions to calm. The drone and meditation go hand in hand. There is a reason I write all this today, on the winter solstice. Many things have come together to bring the drone foremost in my mind. A fellow musician has sent me some shruti box recordings. The passing of Ravi Shankar has caused ragas to bubble to the top of my listening pool. Reviewing my work over the past year, I noticed a surprising number of pieces with fixed harmonic centre. And it is the end (beginning) of the Mayan calendar. In this context I prepare my newest musical release. 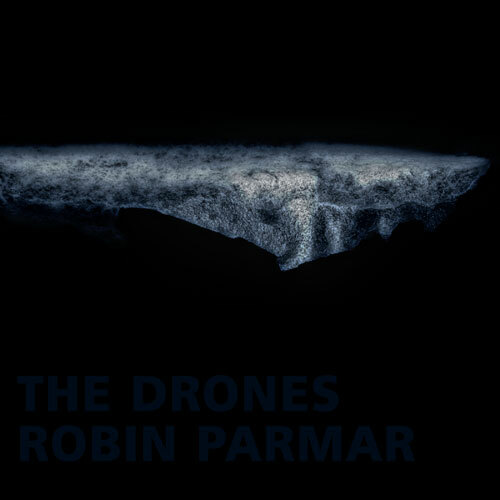 I hope "The Drones" will bring you much joy over the coming life cycles. Stay tuned for release information. As the new year begins I am working on the final mix of a brand new piece for this album. Man, it's going to be good!